Russian-terrorist troops continue trying to provoke ATO forces to open fire. Actions by militant reconnaissance fighters have been observed, and the activity of Russian electronic intelligence was recorded in a number of sectors. At different sections of the contact line, the withdrawal of enemy tanks was observed, which in a number of cases turned out to be a deception. In potentially dangerous areas, where the advance of Ukrainian troops is possible, terrorists are actively laying minefields and setting up artificial obstacles. 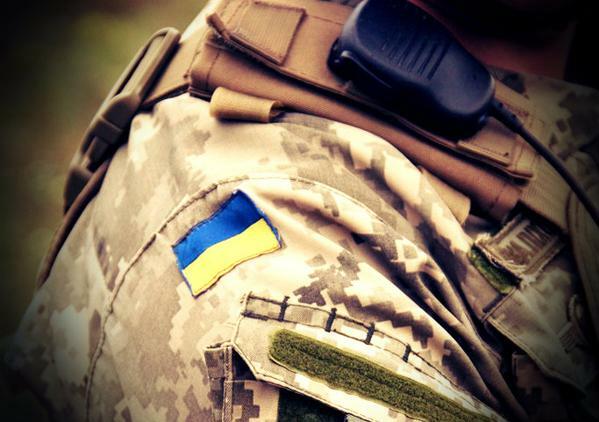 To the west of the settlement of Molodizhne, in the region of Popasna, two enemy groups (15-25 strong each) monitored the positions of the ATO forces from the “greenery” in the “gray band” [neutral zone]. Before departing, the terrorists opened fire in the direction of the Ukrainian Armed Forces’ stronghold, and, when their fire was not returned, moved in the direction of Molodizhne. Chaotic fire was observed from the direction of the Donetsk Airport. In this area, terrorists operate in the greenery, using small groups of 10-15 people. Isolated instances of shooting at the neutral zone and in the direction of the ATO forces’ positions from small arms and AGS-17 were recorded near the settlements of Mar’inka and Dokuchajevsk. Enemy snipers were observed operating near the settlements of Holmivskyi, Luhanske, Shchastya, Stanytsia Luhanska, Donetsk, as well as in the coastal areas. • A motorcade with five D-30 guns in tow left Antratsyt in the direction of Krasnyi Luch. A power struggle continues between Oleksander Zakharchenko and Oleksander Khodakovsky. The “head of the DNR” is taking measures to decrease the influence of the “secretary of the security council” on illegal armed gangs. The “Vostok” gang is being reorganized: some 40% of its terrorists are cut from the staff, and the rest are being transferred to different departments of the so-called “DNR Ministry of Internal Affairs” (at least a third of them have previous convictions). At the same time, the active creation of special forces battalion “Legion” is underway. The battalion, up to 500 people in strength, will be controlled directly by Zakharchenko and is to be included into the “Oplot” gang. In Yenakijevo, Donetsk oblast, persons (and family members thereof) who received injuries during clashes of the “DNR” gangs with the ATO forces, received top-priority treatment during the distribution of humanitarian aid provided by Rinat Akhmetov’s charity foundation.